Chester’s Business Improvement District, CH1ChesterBID, is embarking on a recruitment drive for a new City Centre manager. The position is being advertised from today (Friday, 4th September) to replace current incumbent Peter Lewis who is due to retire at the end of January 2016 after two successful years in the role. The City Centre manager position is critical within CH1ChesterBID, and the newly appointed person will work with a wide-ranging number of partners to deliver a series of key city priorities. 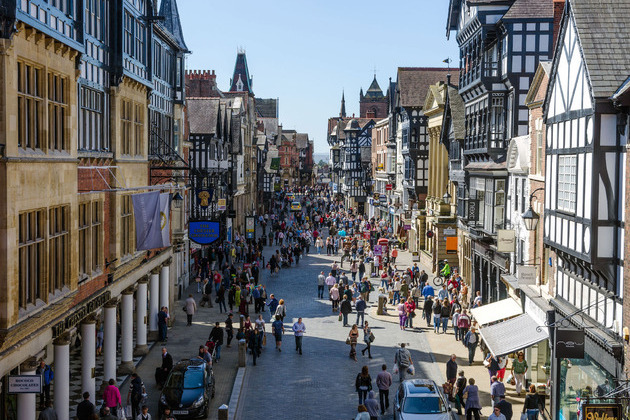 “Chester is a unique city, steeped in history and one that welcomes over eight million visitors per year”, said CH1ChesterBID Chief Executive Rita Waters. “With that comes a set of unique challenges, as well as a wonderful set of opportunities. Working with the City Centre Manager and other partners CH1ChesterBID is already delivering many successes in the city’s BID district, including the establishment of a joint procurement initiative that has seen more than £100,000 of business savings for BID members, the funding of a dedicated Rows caretaker, additional cleaning, planting and signage as well as improving the number and quality of main events and festivals. “We want to ensure the new City Centre manager continues to help drive our initiatives forward - as one city with one voice – so we can ensure Chester remains a destination of choice for its visitors, businesses, shoppers and residents”, added Rita. Applications are being accepted now and up until midday Wednesday 30th September 2015. For an application pack please visit www.ch1chesterbid.co.uk. Peter Lewis joined CH1ChesterBID on a two-year contract at the end of January 2014 after a long and distinguished career in local government, including city centre management roles in both Liverpool and Manchester. £3.3k for new lighting project for N-Vision? It's in the BAG!